The domestication of wild animals is, for me personally, not a good idea. I have little interest in walking with lions or “interacting” with elephants. The fact that most elephant-back safari operations are closing down is good news to me. 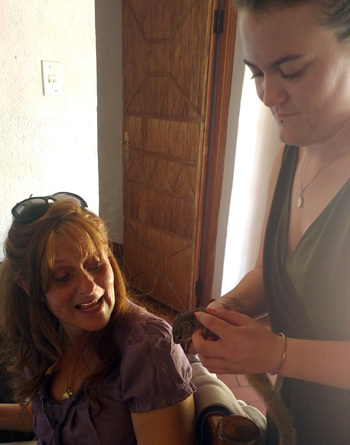 There are some of Viva’s guests that love petting wild animals – some of our previous guests have gone to amazing lengths to be photographed with a tame wild animal. It does exactly zero for me ! It was therefore with some concern that I saw my wife, Sandra, and granddaughter, Seanna, with a young tree squirrel some time back. It clearly was domesticated. Despite the vociferous granddaughterly protestations, I walked to the Warden’s office convinced that this was their pet squirrel. Amazingly, it wasn’t ! Further enquiries as to who might have lost a domesticated squirrel did not yield any positive result, so we are stuck with this blessed tree squirrel. Thanks to Eva, our guide, and Pierre, our chef, the tree squirrel has flourished into a handsome young male and it is my (quiet) hope that a young lady squirrel may soon enough sweep him away! The tree squirrel, Paxerus Cepapi, is essentially arboreal – hence its name. It weighs about 200 g and has a long bushy tail. It is primarily vegetarian but also takes insects. It is a rodent and is capable of inflicting a painful bite. Going out towards the river for our bushwalk, we found 2 hyenas after only 2 minutes driving, then we had elephants crossing the road, and eventually we found 5 black rhinos!!!! 1 Male : Zulu / 2 Females with their 2 calves … It was such an incredible sighting – All these rhinos gathered at the same spot was truly unbelievable ! On one morning we saw very fresh activity of the black rhinos, fresh spoor as well as fresh territorial marking, we started tracking the animals. 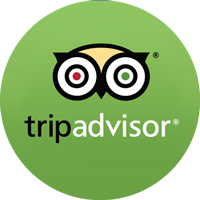 Guests and us guides were very excited and it was a great experience. This month should be called ELEPHANT MONTH – we observed a lot of activities : crossing the road, the youngsters playing dominant and submissive , chasing one another, lots of branches breaking, lots of droppings in the middle of the road……..
One morning with Arnie (lovely elderly lady from USA) going for her last drive, we had the pleasure to observe a solitary male elephant, then we saw lots of plains game, zebras / Giraffes / Impalas / Wildebeest and great birds when all of a sudden three Wild Dogs walked in the middle of the road towards us and moved off into the bush. I called it on the radio, but everything happened so fast that we were the only 2 lucky ladies on this day. Another morning I went out straight to where a leopard had killed an impala the day before, but we never saw that leopard again, instead 8 lions were all fighting for a small piece of meat. Not far away 5 hyenas were walking towards us, they even whooped in front of us. We had an awesome bunch of people from USA that I took on an afternoon drive. We started off by Rex calling us for an Elephant sighting – it was Ezulwini one of our biggest Tuskers with his buddies, they were 8 of them all together. As we carried on with our drive we ended up being surrounded by about 100 elephants – a couple of breeding herds together and some bachelor herds. It was such an incredible experiences to be surrounded by all these gentle giants. This month we have seen a lot more hyenas than usual. My first night back at work after my 5 days off, I started my drive with some elephant sightings. Then later on the way back from Marula Boma, we found 3 lionesses on the airstrip. We have been very lucky this month with sightings at Marula Boma while we have our Bush BBQ. Almost every night we have found Porcupines, Honey Badgers, Civets and even Small spotted Genets. On one night we were 2 vehicles out, Raymond already passed the airstrip making his way to Rome 1 when I approached the airstrip and as I shone to the sides, I spotted a male leopard lying down on the side of a termite mound – it was so unexpected and beautiful, I called Raymond back. On one the Sunset Drive we were very lucky – it was one very special drive that I will remember forever. We started off with « Ezulwini » along with his mates, he offered us a nice display – everybody was able to even take selfies; we then moved off after being tipped off that there were lions on Campfire property. 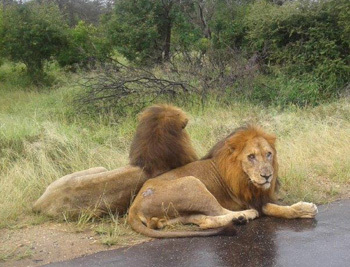 8 lions crossed right in front of the open Landcruiser ! On our way to Marula Boma, we saw a Spotted Hyena with what looked like an Impala leg in her mouth – we could see they were another pair of eyes but couldn’t tell until it started chasing the hyena – a lioness at full speed behind the hyena. That was truly one of a kind experience. With the month of May getting increasingly colder it was a little tricky to find cats this month. It seems that with the change of the season the animals also change their behaviour. In the last week it has gotten better again with loads of lion sightings as well as the endangered cheetah. A few weeks ago I had one of my best sightings ever in Kruger National Park. I decided to take a little dirt road going past Girivana dam back towards the tar road when one of my guests shouted “ lion” ! I saw the movement of the animal and saw that it was not a lion but a female cheetah! She was not alone, she had 5 cubs with her! The amazing part was that she came so close to the road, crossing it with all of her babies. They were between 4 and 5 months old and for a single mother to still have all of them is rather uncommon and amazing. 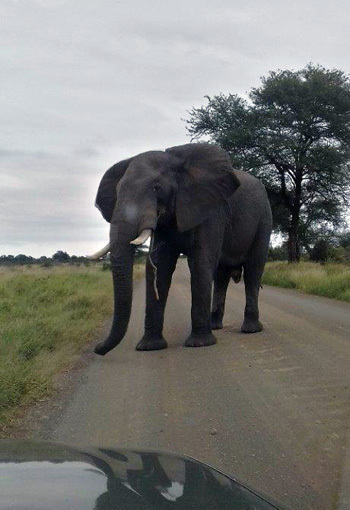 On another exceptional day we found 4 of the big 5 between the first and second Orpen gates – seven km! First a lone Elephant bull right next to the road, then we found two white rhino about 10 m from the road with a backdrop of a huge herd of Cape buffalo grazing in the afternoon golden light. A few hundred metres down the road there was a pile up of cars : despite all the cars around her there was a lioness casually strolling down the road with a bone in her mouth. Other sightings include amazing elephant sightings all over, one day my guests attempted to count all the elephants we saw but lost track after reaching about 400 individuals!! That same day we were fortunate enough to see a female cheetah between the first two gates as well taking an early morning nap. Hippo sunbathing at Nsemani dam and an astounding amount of crocodile north of the junction of the S127 and S39 on the banks of the Timbavati River. There was a few groups of people that made my month and unfortunately I only have a picture with one of them and that was the group of contract nurses (the big 5) so you guys get to be on my monthly report. A big shout out to my American and German veteran group that stayed at Katekani Tented Lodge, these guys were tons of fun!! That’s it from me, until next month! 3rd May: I was in Kruger, cheetah was hunting on the road of H-7, after S36 and S39 we saw 2 lionesses with cubs, and on the road to Olifants there were 4 rhinos, 10 metres from the road. 4th: Leopard on the S126 road on a Jackalberry Tree, elephants also came into the road and they was a little calf as well, then at the waterhole we saw buffaloes and zebras and blue wildebeest and impalas drinking water. 5th: Elephants(breeding herd) after the boom gate. Big crocodile on the riverbed and ostriches on S90. There was a big male lion and lioness mating on the river bed and on the way back we saw some Wild Dogs on the road. 11th : On the S40 1km on the tar road a leopard with his kill in a Marula Tree. After that we saw elephants with babies. There were more than 80. Also saw a lioness on the S100 about 2m from the open vehicle. 12th : 4 cheetahs on the H7 near Nsemeni dam. They had 3 cubs and were busy hunting. There was also a dead Impala hanging from a tree but no leopard in sight. Male lion on H1-4 road under a tree. Elephants all over. 14th : Cheetah with 5 cubs on S36. Also ostriches and 2 big male lions before Mudzazeni picnic spot. Elephant and buffalos at Kumana dam drinking water together. 17th : Near Maroela junction there were four White rhinos. 20th : At Gudzani dam two lions, buffalo, about 7 hippos and elephants all around. S90 leopard in a tree. 23rd : H-7 Nwamatsatsa bridge, more than 10 wild dogs and puppies. On the way back Talamati road we saw elephants and many buffalos all over. Rhino cooling in mud. We had a great time this month, on my sunset drive we saw a pride of lions trying to kill a giraffe right next to Tremisana Lodge – it was a great sighting. 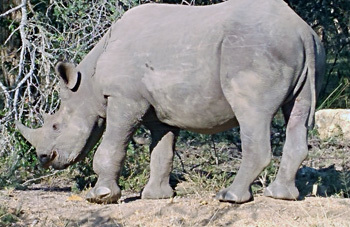 Just before Marula Boma we found a white rhino with a baby – my clients were very excited. Doing the bushwalks is something that I enjoy because we teach our clients about the beauty of nature, teach them about the history of Africa and the Little 5. 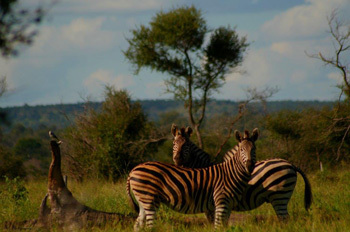 On the walks we always see Waterbuck, impalas, hippos and crocodiles along the Olifants River. One day I was busy talking about the termites and we saw 2 wild dogs running along the river area, and they were covered of blood on their faces. My guests were happy and scared but I told them they must be happy and safe. I did a sunset drive with the general manager and his friend – it was great because we saw Ezulwini which is a bull elephant and we saw lions at Campfire. I drove down Sable road and we saw a leopard up a tree – I stopped immediately but he didn’t care about us. Then on Olifants road before Marula Boma we saw another leopard walking down the road. I did my afternoon drive with my guests and we saw more than 200 hundreds elephants at Ngwenya dam they were inside the water and we just watch them. One of the guests actually started crying because it was her life dream to see elephants. 2nd : Takazile lion pride the north of Nkamboko dam moving towards the airstrip. 4th : Wild Dogs 500m from the boom gate hunting at Orpen Gate. 8th : The biggest tusker elephant, Ezulwini, at Tremisana Lodge. 23rd : Lions and elephant at Tremisana Dam. Lioness were playing with the elephants chasing each other. Most unusual experience. 26th : Takazile pride again on Olifants road at Campfire junction. They were busy eating on a kudu. So Started off the morning with a spectacular sunrise. It was also quite chilly. So for those that plan on safari at this time remember to bring a jacket. So off we go and what is the first thing you expect? well maybe antelope or zebra maybe a Giraffe.No instead it was fresh tracks of Black Rhino. We went on Marula road we knew there was black rhino somewhere close and BOOM there they made their way across the road not one but 3 of them were browsing throught the bush walking very slowly we had such a lovely time viewing them for about a half an hour. It is such a privelege to see these majestic animals living together. 2 females with a baby they were really relaxed and made their way in front of us and even got close to the game drive vehicle on about 3 metres one female turned away after smelling us to identify us wow! breathtaking indeed. We contiuned and found some elephants not very far from us – a breeding herd consisting of females,babies and young bulls they were on a mission heading South but so cute the babies were close to the mother like always.we saw different species of antelope and hyena,porcupine and honey badger. 2 May: Early Morning with some nice coffee and rusks and there I go with my family for a long morning drive.my colleague Eva informed me about the big cat update can you guess what…? A lion pride was lying down next to the road.The pride consists out of 3 young males and a few females. On the H1-3 we came across a buffalo herd – wow some big bulls. We then found a bachelor Elephant which came out of a mud wallow – really relaxed. Along the river we saw a crocodile sunbathing. Later a breeding herd of 200 elephants breaking branches in front of us. About 4km down the road we come across another breeding herd of elephants but even bigger than the previous herd this time about 300 elephants easily – even I was surprised seeing so many elephants already but still magnificent viewing them. We contuined to Nsemani dam where we saw crocidile and Hippos relaxing in the sun. After lunch at Satara we found 2 male lions lying down. Going back to the Orpen gate we saw all the general game.We viewed 6 white rhinos grazing about 150 m off into the bush..Then one of the Kruger Park staff members stopped and told me that there was a young female leopard ahead – great that Viva Safaris is assisted like this ! 4th May : The day was hot, difficult sightings because of the long grasses, lions at timbavati picnic area, buffaloes on the main road H7, elephants everywhere, cheetah at the T junction S36 and S39 junctions, white rhinos . 10th : Elephants all over, lions S125 ,buffaloes crossing between boom gate and Orpen reception, white rhinos near Talamati. 22nd : Elephants all over, buffalos S40 ,rhinos. 26th : Lions on S41 Gudzani east waterhole, elephants and buffaloes S100, rhinos near gate. We saw the crocodile and hippo on most of the bushwalks. 8 lions have been active on Barnards and a herd of elephants hang around Shingamba dam. One day we saw 4 male lions again on Barnards Shingamba dam eating a Zebra. We also saw 5 black rhino on Marula Road and 3 spotted hyena at Barnards Airstrip. We spotted 4 male lions on Barnards and 2 bull elephants regularly at Tremisana dam. Herds of zebra spotted. Pride of lions on Campfire. 1 leopard on Olifants Road near the Campfire exit. Marc’s Treehouse Lodge : We have noticed a drop in Nyala numbers. Apart from the resident leopard, there are now 4 lions on the property. Our guests need to be vigilant at all times !!! 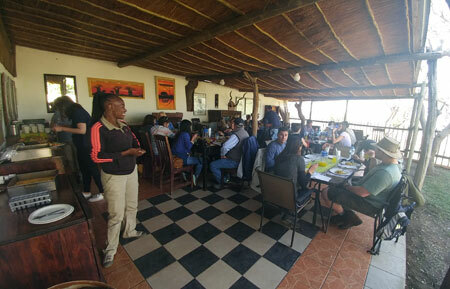 Masango Camp : Numbers of visitors are improving. We are building a large storeroom as well as staff accommodation. 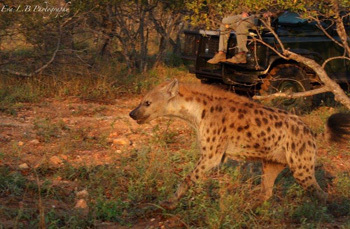 Tremisana Game Lodge : Lion and hyena activity has NEVER been better ! The hyenas took Shadrack’s (one of our mechanics) boots while he was showering ! Katekani Tented Lodge : All 8 suites are now complete . Well done to our builders ! Due to circumstances beyond our control, we have had to replace the Kapama drive (on our Katekani packages) with a drive at Motlala Game Reserve. 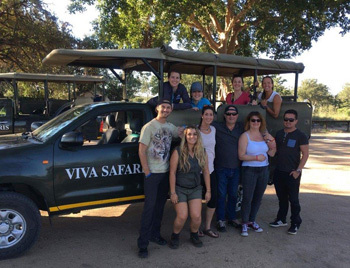 Stuart and Stacey from Dumela Lodge (ex Cheetah Inn) regularly take their volunteers on game drives here and advise that the leopard and rhino sightings are second to none ! Along with Dumela Lodge, Katekani Lodge guests will be the ONLY visitors to Motlala so there is an exclusivity that we are looking forward to. The 4 day Sleep Out safari is going well. 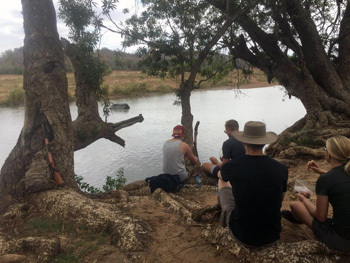 Guests enjoy the tranquillity of the Olifants River while on walk. Hippo obliges. We have had some large groups this month – Pretty has been busy. Hostess Pretty keeping an eye at breakfast time. I organised a safari tour with viva safaris, which included a night in this lodge. The place is well maintained with beautiful rooms. 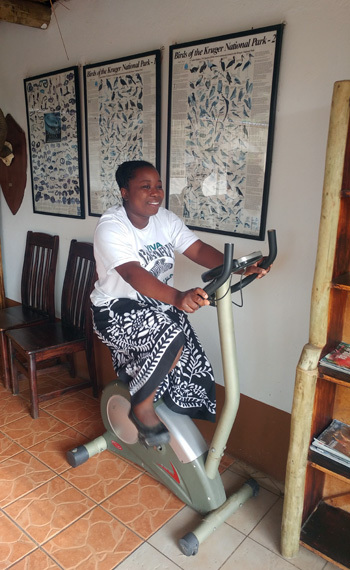 Everyone in the lodge is great, kitchen & floor staff, as well as drivers and guide tours. I would’ve loved to stay longer in Tremisana Lodge. Stayed here a couple of weeks ago. What an amazing time we had here. All staff were amazing. Clean rooms, rustic surrounds, meeting new people and the adventures, where over whelming. Each day another new adventure. Experienced a few African massages, traveling in safari vehicles and viewing all the wildlife. Booked via Viva Safaris. We felt like home from the very first moment! Very warm-hearted and caring hosts. The so-called tents are rather comparable to upper-class hotel rooms, but still seem authentic. Don’t miss the outside shower! On top of a wonderful experience: the hosts serve incomparable good food!!! Even vegetarians get all their needs fulfilled. Loved the camp fire below the incredible stars. We will come again!